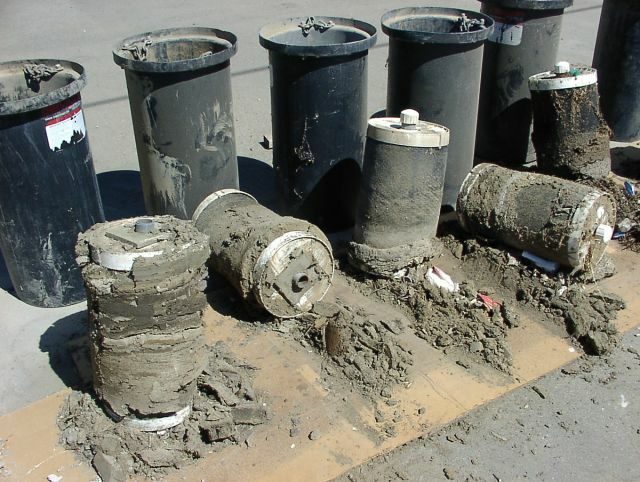 We continuously re-think and improve sediment control and pollutant removal solutions. Filtrexx is the industry leader in developing sustainable solutions for above and below ground stormwater solutions for passive treatment train, using natural materials to target pollutant loads in stormwater runoff. Our original EnviroSoxx® product line consists of three dimensional Filtrexx® Mesh™ tubular devices filled with Filtrexx® Media™ to which we can incorporate specific sorbents to help remove pollutants such as bacteria, heavy metals, hydrocarbons and nutrients from stormwater runoff, particularly in urban watersheds, sensitive receiving waters, and TMDL (§303d) listed water bodies. EnviroSoxx help industrial stormwater permit holders/MS4s comply with their permit by bioremediating hydrocarbons, heavy metals, bacteria, and nutrients. Filtrexx has expanded our treatment train line to include StormExx® CLEAN Catch Basin Filter for additional targeted stormwater solutions. For additional information about StormExx CLEAN product specifications, performance, installation and service, contact our team, we'll be glad to collaborate on your next pollutant removal application. Filtrexx® StormExx® CLEAN is a catch basin filter insert designed to fit any existing storm water drain system. It is an exceptional solution for those areas where placing a Soxx around inlets is problematic, inconvenient or even dangerous. Besides water runoff, streets and parking lots carry a lot of debris and contaminants that could pollute storm drain systems and eventually natural sources of water such as rivers and streams where the stormwater runoff is discharged. Using a stormwater solution with a replaceable cartridge, facilitates installation, maintenance and replacement. StormExx CLEAN utilizes similar Filtrexx Media and additives as our EnviroSoxx product line but it is used under the grate as a replaceable cartridge for contaminant removal. Its innovative design helps collect large amounts of sediment and debris inside the drain without being visible from the street surface. Optional sample port available. Overflow bypass: 500+ gpm (flow rates based on controlled in-house testing; rates may vary and are dependent on site specific environmental conditions. Consult maintenance guide for performance criteria). The Stormexx CLEAN Filter Cartridge is installed inside the grate, in a housing device to capture sediment, gravel, trash, debris and pollutants.